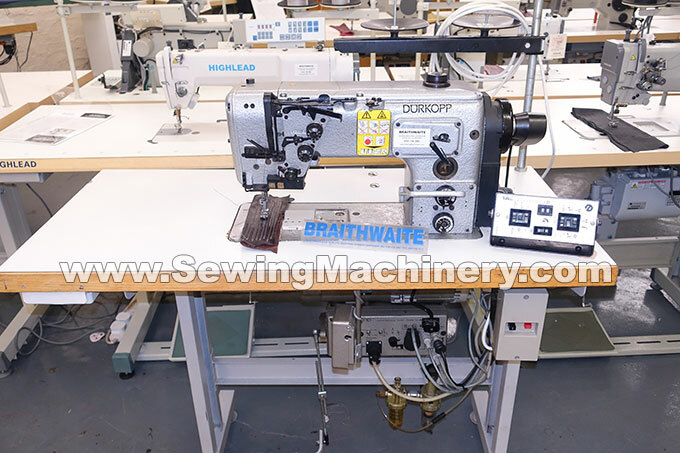 Durkopp 291 heavy duty walking foot industrial sewing machine with large vertical axis hook, automatic thread trimmer, and automatic reverse/back-tack stitching. Assembled with unit stand, wooden table top and Efka single phase electronic needle position sewing machine motor. 220-240V standard 13amp plug for home or factory use. 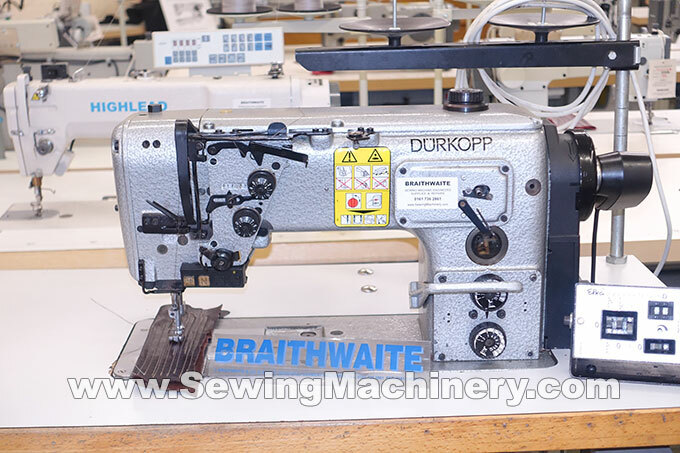 Serviced and tested including 3 months return to base used machine warranty.